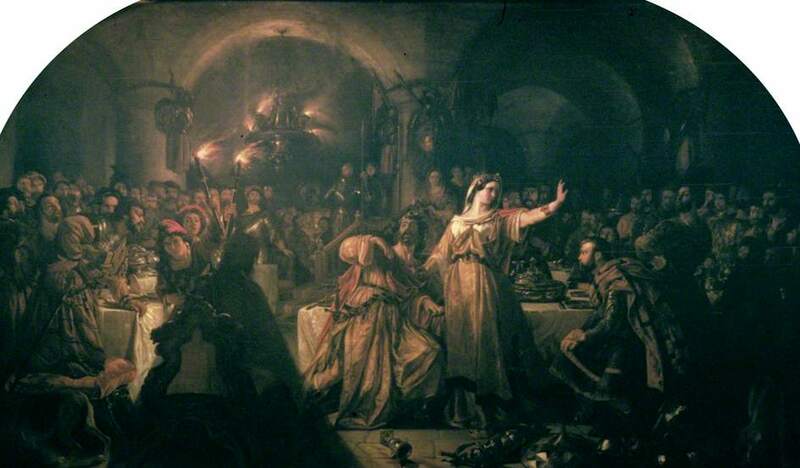 The Banquet Scene in Shakespeare's 'Macbeth' by Daniel Maclise (1806-70). 1840. Oil on canvas, 183 x 305 cm. Collection: Guildhall Art Gallery (no. 830). Reproduced courtesy of the City of London Corporation. Presented by F. W. Cosens, 1904. Click on image to enlarge it.